Substance abuse is a complex disorder that can have an enormous impact on physical and psychological health. And although drug abuse is increasingly common, many people are unaware of how to handle this problem. The following guide discusses ways to help individuals with substance abuse problems. Changes in speech patterns, e.g., slurred or abnormally rapid speech. Changes or disturbances in sleep patterns, including insomnia or sleeping often and/or at odd hours. A loss of interest in daily activities. Problems at work, such as decreased performance, missing shifts and/or difficulties with bosses and coworkers. Once the signs of addiction become apparent, there are a number of ways friends and family members can help. 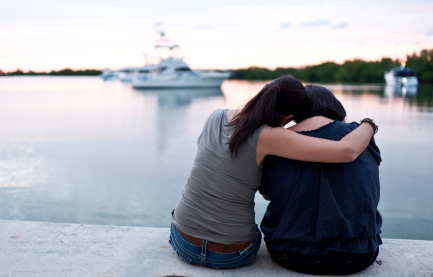 The following are basic steps in handling substance abuse in a loved one. Speaking up is the first step in helping a loved one suffering from addiction. However, voicing concerns can often prove quite difficult, especially when the addict in question is reluctant to admit the problem. One important tip to remember when it comes to approaching the subject of a loved one’s substance abuse is to be kind and supportive. Taking an accusatory stance often backfires; instead, remain calm and avoid using tactics that involve guilt or anger. Enlisting the help of other friends and loved ones can help reinforce the severity of the situation. However, it’s important that the individual in question doesn’t feel threatened. Make sure that each person involved understands the importance of kindness, tact and emotional support. Suggesting substance abuse treatment should be the primary goal in helping an addict. Drug abuse treatment centers provide patients with the tools to battle addiction on physical, emotional and psychological levels, which exponentially increases the chances of maintained sobriety. Detoxification. This process involves ridding the system of all addictive substances. Due to withdrawal symptoms caused by the discontinuation of certain substances, detoxification can often be quite painful, overwhelming and even dangerous. For this reason, undergoing detox in a medical setting is recommended. Counseling. Talk therapy is an integral part of recovery. This process involves one-on-one discussions with a trained professional in which addicts explore the psychological and emotional aspects of addiction. During counseling, patients often work to overcome the underlying causes of addiction, as well as develop strategies that will ensure sobriety. Group therapy. In group therapy, patients with similar problems meet to discuss addiction. Group therapy has a number of benefits in the treatment of substance abuse, including peer support and the sharing of coping strategies and success stories. Aftercare. Follow-up care is a vital aspect of successful substance abuse treatment. Aftercare often includes continued therapy and group meetings, which can greatly improve the chances of maintained sobriety. Lillian Sanders is a freelance writer from Florida. She enjoys writing article on health and wellness. Aside from writing, Lillian works closely with addiction treatment programs helping people struggling with drug and alcohol addiction.